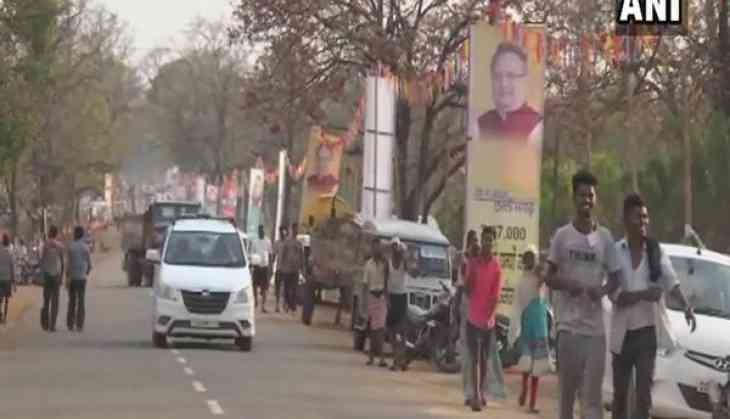 Massive security has been put in place for Prime Minister Narendra Modi's visit to Bijapur district, where he will inaugurate first health centre under Ayushman Bharat Scheme on April 14 - Ambedkar Jayanti. Bastar Inspector General V. Sinha said, "This is Naxal-prone area and Prime Minister's visit is a challenge for police. Adequate security is being deployed to avoid any untoward incident." According to Niti Aayog CEO Amitabh Kant, Prime Minister Modi will be the first prime minister to visit tribal district Bijapur. Meanwhile, another Niti Aayog member V.K. Paul on Thursday told the media that under the first phase of the scheme, the Centre will open 1.5 lakh health and wellness centre by 2022, which will be able to treat number of diseases. The Centre has also prepared the broad outline of the National Health Protection Scheme (NHPS) and the work is on to finalise parameters for identifying beneficiaries and hospital entitlement. The Prime Minister will be visiting Bijapur district's Jangala Development Hub, situated in a panchayat that has emerged as a model panchayat. Prime Minister Modi would be interacting with people, local 'Champions of Change' including officials of the district administration, who despite all odds and being at the epicentre of Left Wing Extremism have performed very well, especially post the launch of Aspirational District programme on January 5, 2018. The Prime Minister would also launch Health and Wellness Centre component of the Ayushman Bharat Programme in this panchayat as part of the visit. The Ayushman Bharat has twin missions. First, creating a network of Health and Wellness Centres to deliver comprehensive primary healthcare close to the community, and second: to provide insurance cover to 40 per cent of India's population that is most deprived. The Prime Minister's visit to Bijapur gives wings to the aspirations of people in the remotest parts of India to become a rightful partner in India's growth story. Chhatisgarh assembly elections are due later in the year.